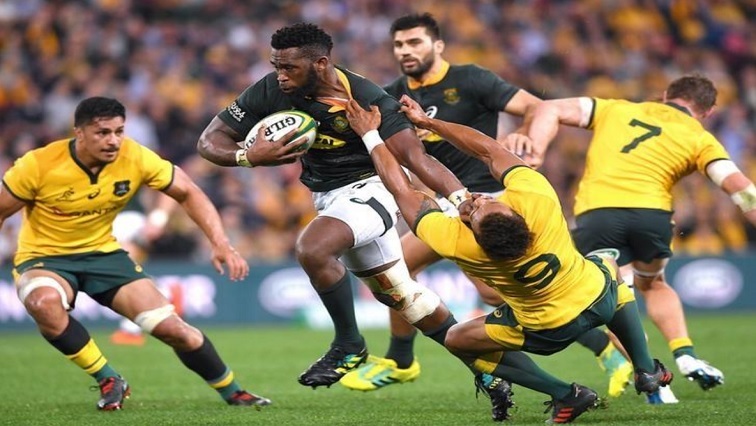 Kolisi says World Cup still the goal for Boks as they face All Blacks - SABC News - Breaking news, special reports, world, business, sport coverage of all South African current events. Africa's news leader. South Africa's Siya Kolisi pushes away Australia's Will Genia. South Africa captain Siya Kolisi did little to ease any fears that his side can arrest their slide in the Rugby Championship ahead of their clash with the All Blacks on Saturday. This entry was posted on 14 Sep 2018,08:50PM at 8:50 PM and is filed under Sport, Rugby, Homepage Latest Stories Slider. You can follow any responses to this entry through the RSS 2.0 feed. Both comments and pings are currently closed.